Abstract :To study the effect of Shiatsu therapy on the metabolism, we conducted a trial about variation in respiratory quotient comparing Shiatsu stimulus group versus non-stimulus group using an analysis system of expired gas. The analysis of variance resulted that variation over time was significant in Shiatsu stimulus group. Meanwhile, significant variation was not observed in the control group. 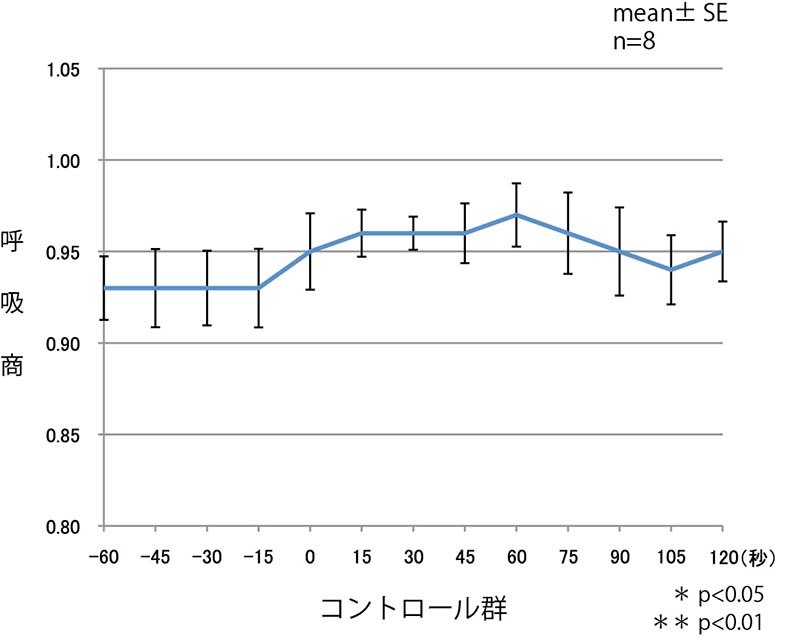 The multiple comparison of the experimental group also indicated that the respiratory quotient was significantly decreased at the points of 45 seconds and 60 seconds after Shiatsu, comparing at the point of zero second (before Shiatsu stimulus). 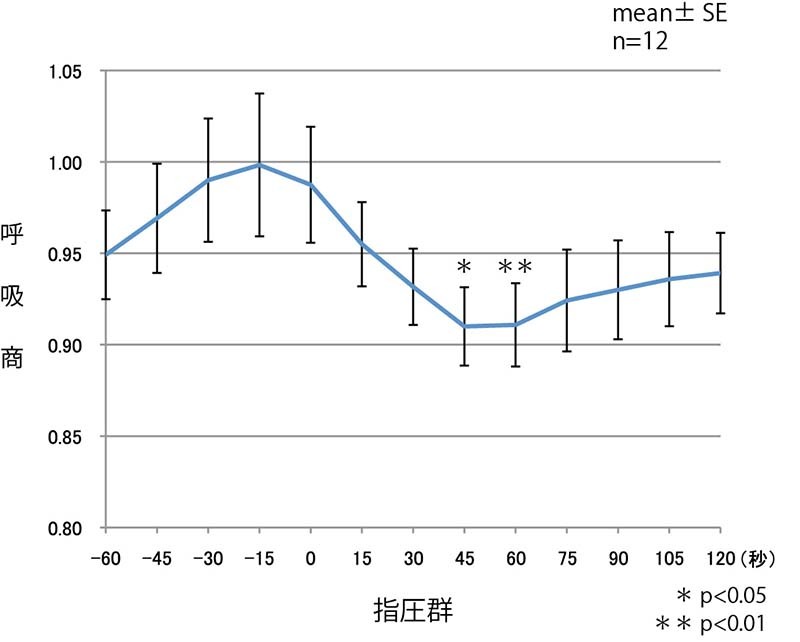 As a result, it was observed that the respiratory quotient was significantly decreased by Shiatsu on the anterior cervical region.